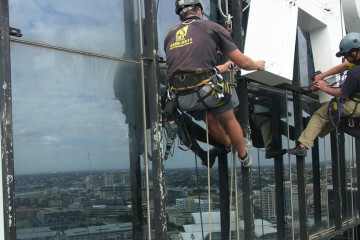 IRT Access has been one of Sydney’s leading Rope Access providers since 1999. 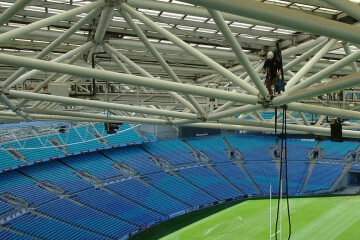 As one of the leading rope access specialists, we work with reputable clients across Sydney to provide a range of professional rope access services. Compliant with CM3, Ebix Trades Monitor and Sassi. We are approved installers (height safety) for Sayfa, Safetylink and SALA Equipment. 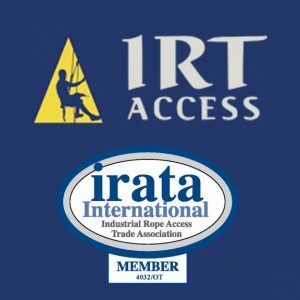 Looking to do an IRATA Training Course? IRT Access have installed and serviced many of the landmark signs that makeup Sydney’s skyline. We have earned a reputation for innovation and safety in signage services. Just completed my IRATA level 1 with Jim Oades at IRT Artarmon. Passed with excellent results due to their high standard of training and facilities. Thanks again! Done my first L3 last week at IRT. Attentive training from Jim all week and definitely the most confident I'd been on a Friday morning. Will be advising mates to go to IRT for their next course. Definitely worth the trip up from Melbourne. Completed my Level 1 with IRT! Jim's training was thorough and he went beyond (even overtime) to ensure maximum safety and technique is learned. I hope the next guy I'm hanging with was also trained by Jim! Having completed my level 2, I thoroughly enjoyed it, the knowledge and skills I learnt throughout the week helps me move forward in my career. The way Jim teaches was very effective and clear, he made sure of complete understanding on the skills and manoeuvres we had to pull off. I definitely recommend people to IRT training and will continue to do so. Having completed my 3's with IRT last year I walked away from the course with a great amount of new skills and knowledge which advertently has helped me progress forward in my career. Jim has great communication, a wealth of knowledge and is very professional in his approach to IRATA training. It is because of this I have recommended several people to this facility and will continue to do so in the future. Did my level 1 training at IRT without prior training and passed with ease. Awesome training facilities and Jim was always willing and ready to help me out with something I didn't understand. Did my training at IRT, very professional with a focus on safety. Jim is an excellent trainer, always willing to provide extra one on one time to ensure a complete understanding of the processes & manoeuvres was achieved. Highly recommend IRT Access to all. IRT Access has been one of Sydney's leading Rope Access providers since 1999.